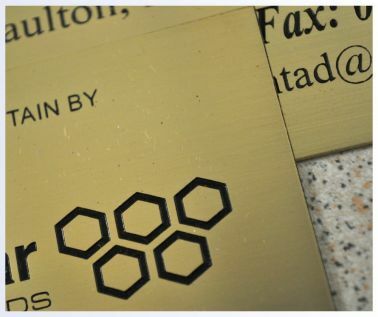 Brass industrial Identification Labels, measuring 50mm x 25mm x 1.00mm and supplied with bur-free straight edges, ideal for adding your company details to any equipment you may supply and install. Brunel Engraving use a high quality CZ120 brass. 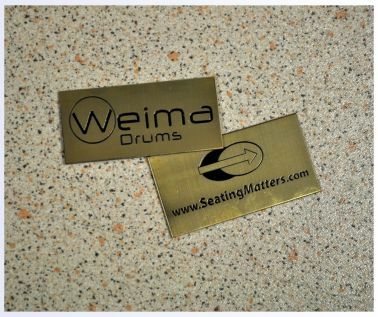 Supplied in a satin/matt finish these brass labels are ideal for either interior or external use. Lettering and logos are deeply etched into the surface creating an indentation which is infilled with a contrasting paint. Although the brass will tarnish with time this process means that the lettering will always remain, a very important factor where longevity is the main concern. 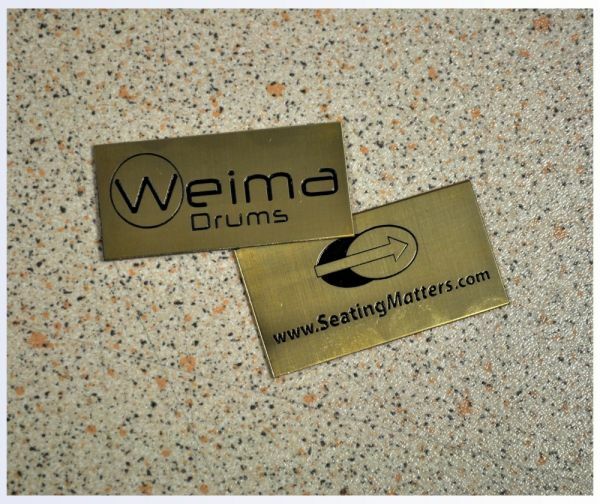 Plates are available with a self-adhesive backing or holes for rivets and screws, rounded corners can also be added. Etched Brass ID Labels can be supplied with 2 or 4 x 3mm fixing holes, self-adhesive or without any fixings.